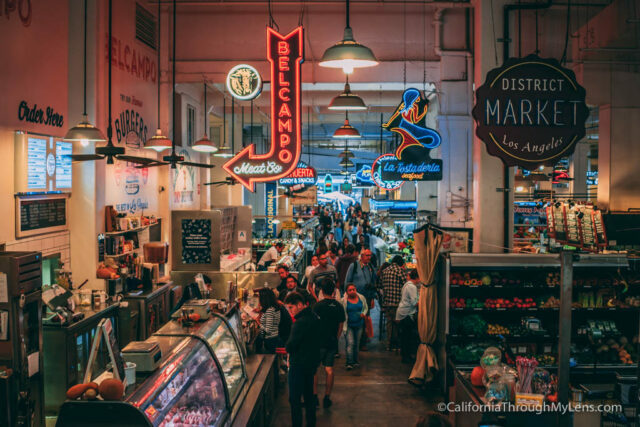 In this post, we are heading the Los Angeles, and I’m going to show you 24 of my favorite spots to explore in Downtown LA. Check it out and let me know what I left off in the comments. Click on the images to read more about the recommendation. 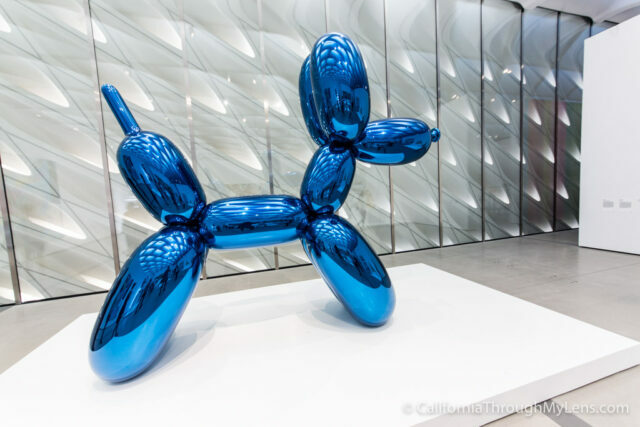 Stop number one, takes us to The Broad Museum, which is one of the most popular new museums in Los Angeles. This gallery became popular because of its “instagramable” attractions like the mirror rooms, the big tulips, the America sign. It even has a larger than life-size table you can walk right underneath. It’s a free museum, but you do need tickets in advance and be prepared to wait about an hour if you don’t get a ticket in advance to get in. Across the street from The Broad, we have the Walt Disney Concert Hall. 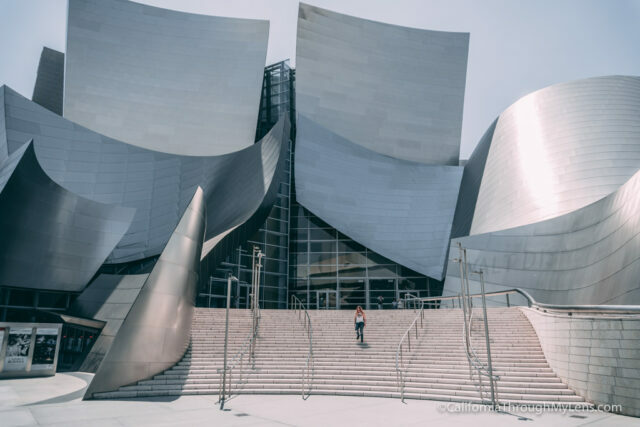 You’ve probably seen this awesome architectural feat right in the heart of downtown Los Angeles multiple times while driving by, but I would recommend getting out of the car, walking around, taking a tour of the concert hall, and walking through the gardens. It’s a beautiful area and every time you go; you see something new. Of course, if you get a chance, see a show there as well. It’s supposed to have the best acoustics in all of Los Angeles. Recommendation number three is OUE SkySpace, which is in the US Bank Tower. 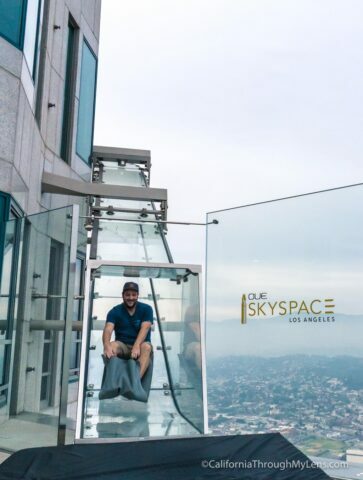 This unique Los Angeles attraction has a glass slide, where you slide from the 70th floor to the 69th floor all completely in glass. The slide goes fast so you don’t have a ton of time to look around but it’s a fun experience that gets the adrenaline going. Also, they have two open-air observation decks that are amazing spots for sunset. 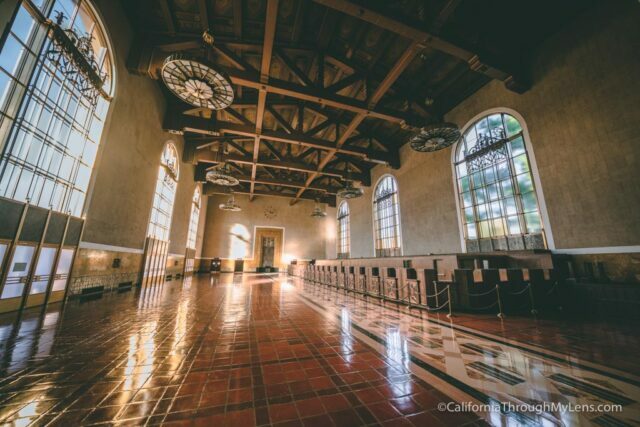 Union Station is the Los Angeles train station, and it’s been featured in movies like Blade Runner. It’s many decades old and is an excellent place to walk around and explore the unique architecture or take the train somewhere outside of Los Angeles. 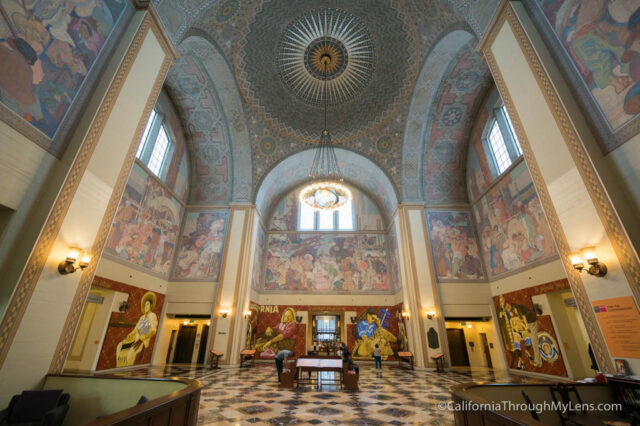 From Union Station, head over to Olvera Street which is right across the street from the train station and is a fun cultural heritage site in the middle of Los Angeles. 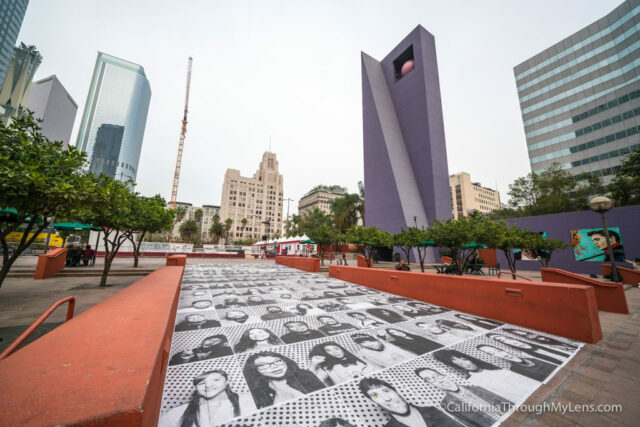 Here, you can visit the center pavilion, go to some of the museums, see one of the oldest houses in Los Angeles and have taquitos at Cielito Lindo. 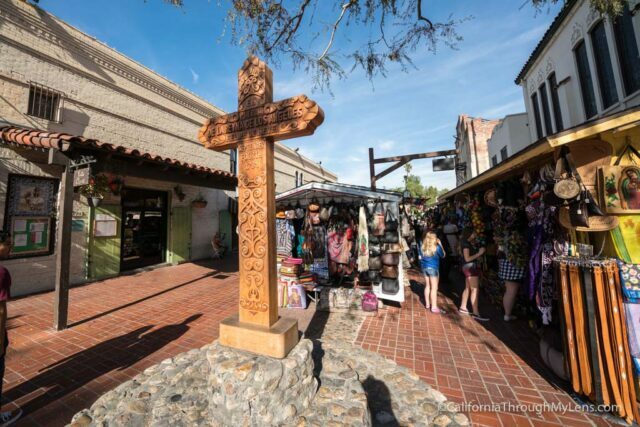 Olvera Street is also impressive during the Day of the Dead Festival which happens right around Halloween every single year. 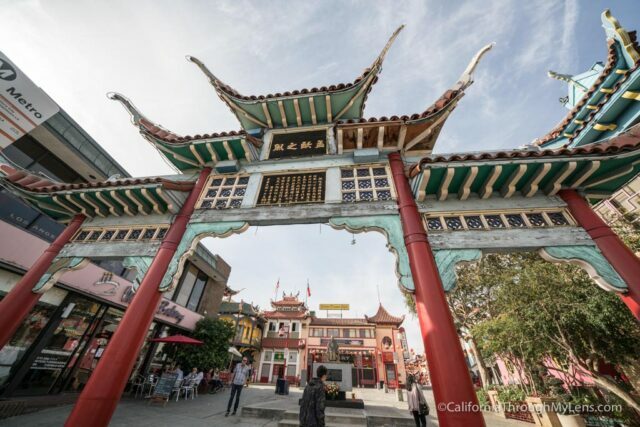 For a different cultural experience, head over to Chinatown which is a few blocks up from Olvera Street. This small area has food, shopping and lots of unique architecture. It also has the traditional Chinese lanterns that go across many of the streets, and it has a wishing fountain that you can throw coins into. 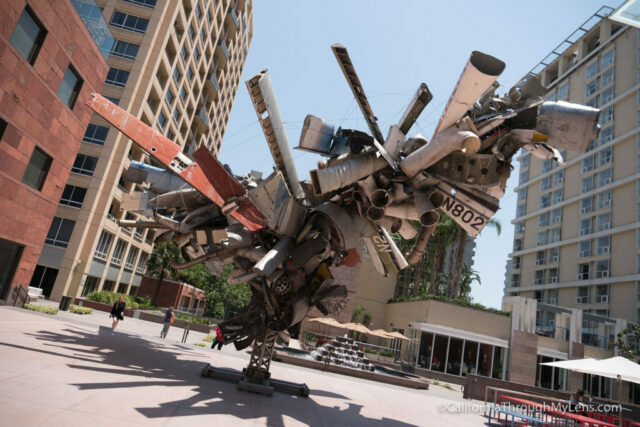 My next recommendation is MOCA which is a contemporary art museum in the heart of downtown LA. While this doesn’t have as many of the crazy exhibits like The Broad does, it’s still a great place to see some unique art and walk around the two to three floors they have. The giant metal piece in the outdoor lobby is worth visiting just to see that. Next stop, we have Grand Central Market which is Downtown LA’s food court. It’s been there for decades with lots of unique restaurants coming in and out over the years. Now, it’s part of the foodie revival in LA with places like Eggslut, PBJ.LA, Wexler’s Deli and many others bringing people from all over Southern California to try a unique dish. 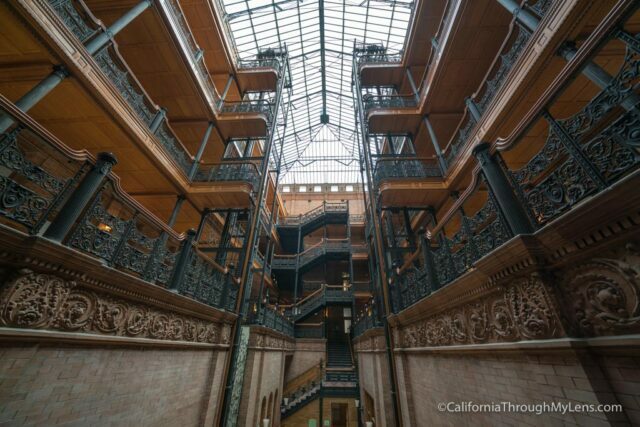 From there, head across the street to the Bradbury Building which was also featured in Blade Runner and which is a super cool piece of architecture that you can explore during business hours. You can’t ride the old elevators, but you can walk up some of the staircases and see the building from many different angles. 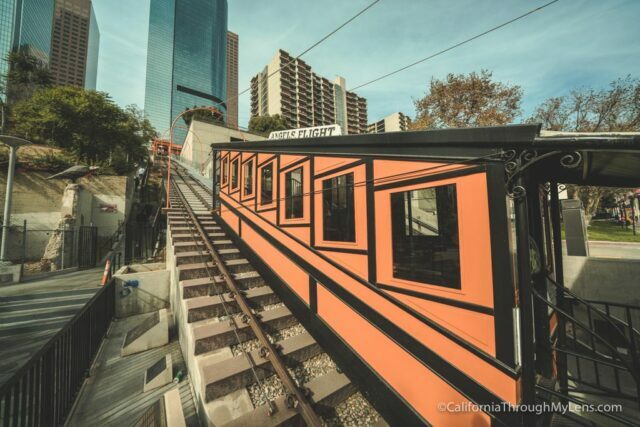 After that, head over to Angels Flight which is a fun little train that you can ride. It takes you about a block up, and it only costs 50 cents to a dollar, depending on whether you have a metro pass or not. No doubt you’ve seen this fun attraction in some recent movies like La La Land. It was actually closed for about five years, so it’s great to have it back open again. 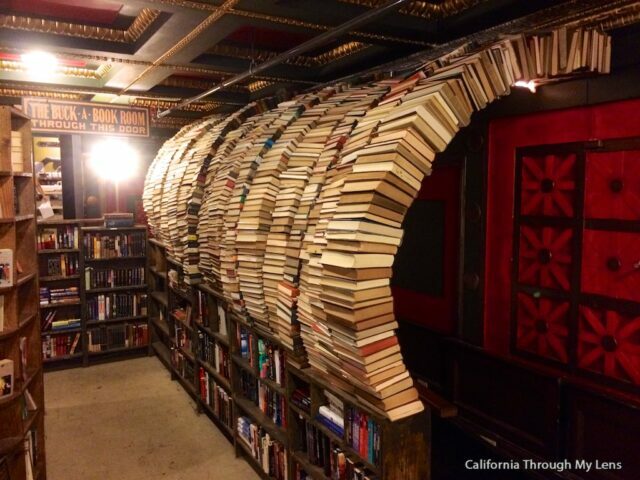 My next recommendation is The Last Bookstore. This old bank building was turned into a two-story bookstore which has an insane amount of books but has a lot of other cool things to see as well. Some of those are the book tunnel that you can walk through and the old bank vault which houses crime novels. It’s a good place to just walk around and take it all in. 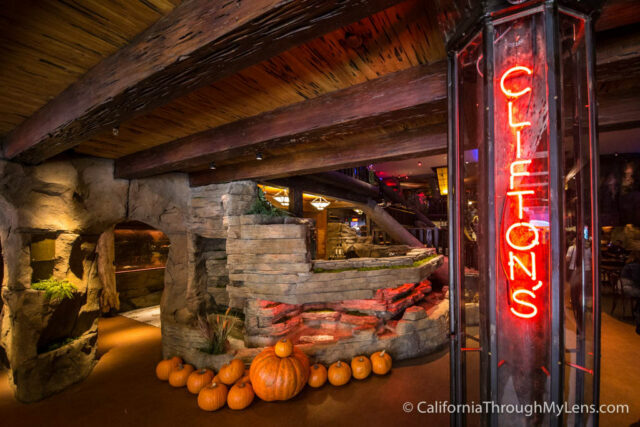 Close by The Last Bookstore is Clifton’s Cafeteria, which is a famous Los Angeles spot that has been around for over 50 years. This unique cafeteria has all sorts of absurd things for you to see such as tigers that you can sit next to, a giant three-story tree, and all kinds of weird oddities around the restaurant. It just reopened a year or two ago, and it’s a great place to go with your family. Next, I recommend heading over to the Art’s District. The Art’s District is the up and coming downtown neighborhood that everybody wants to live at, and everyone else comes to eat at. 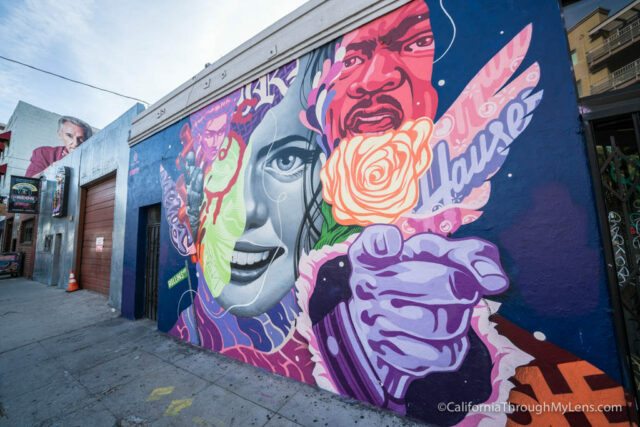 The Art’s District has lots of artistic murals on all of the buildings, a bunch of crazy places to eat like Wurstkuche which has rattlesnake and rabbit sausages, breweries, ice cream, you name it they have it in the Art’s District. It’s an excellent place to just park, walk around and explore. Naturally, bring your appetite because there are lots you’re going to want to eat. If you are in LA at night, head over the InterContinental hotel which is the tallest building on the West Coast. From there, you can take the elevator all the way to the 70th floor and then another elevator to the 73rd floor to go to the tallest open-air bar in the entire country. 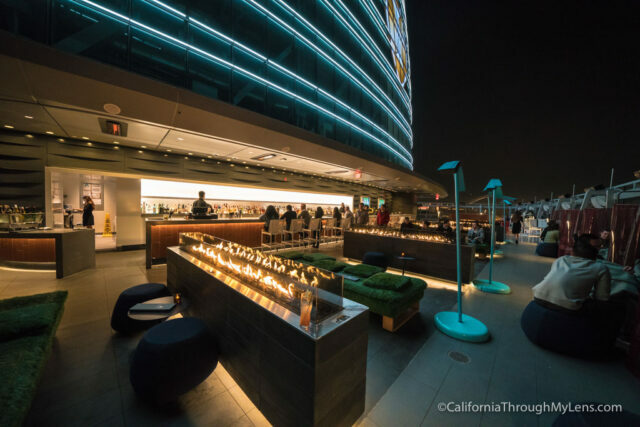 This is a great place to grab a drink or snack and look out over the city lights. My next recommendation is to head down to LA Live which is right across from the Staple Center and has lots of restaurants as well as the Grammy Museum. 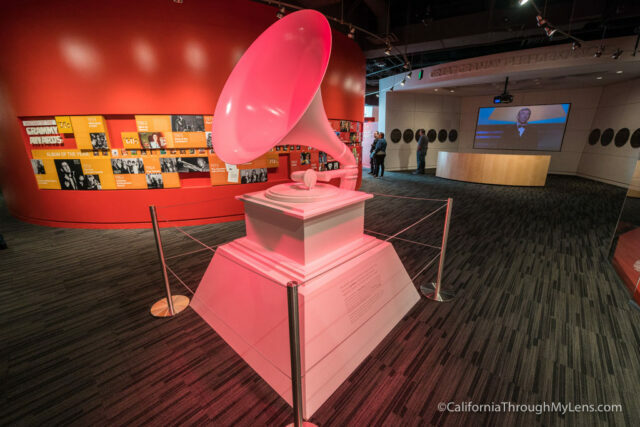 If you’re a fan of music, then the Grammy Museum is a great place to explore. It talks about past winners, has instruments that you can play, microphones you can sing into and revolving exhibits on things like punk rock and famous guitars. Also, along the sidewalk, outside of the museum, there are big records in the ground, much like the stars on the Hollywood Walk of Fame, that talk about the different artists that won categories during each year of the Grammy’s. If you’re in Los Angeles on a Sunday which is the only day of the week that this happens, head over to Smorgasburg. Smorgasburg is much like a food truck event where 30 or so restaurants all have little pop-up shops in this one big industrial area. 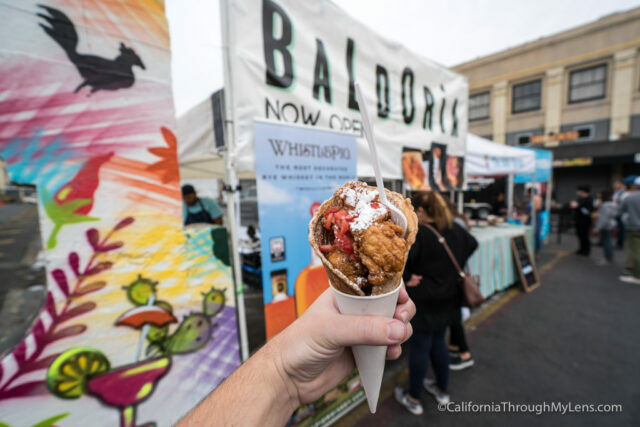 You can walk all around and try thing ranging from fried chicken in a waffle cone, shrimp in a pineapple boat, acai bowls, tea, all sorts of crazy stuff. I recommend bringing your appetite and some money so that you can try a few different things. There’s also a shopping area down the middle that you can check out in between eating. Little Tokyo is in the heart of downtown LA where Chinatown is a little bit north of the city center. 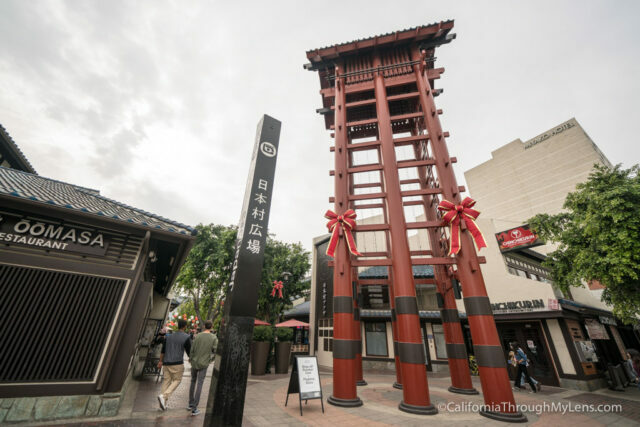 This area has a unique mall full of all sorts of Japanese related items, has different restaurants that you can try, and it has one of my favorite places to in all of downtown Los Angeles which is Daikokuya, a ramen restaurant. Be sure to get there really early though, as Diakokuya is always busy, super small and you normally have to wait at least an hour. 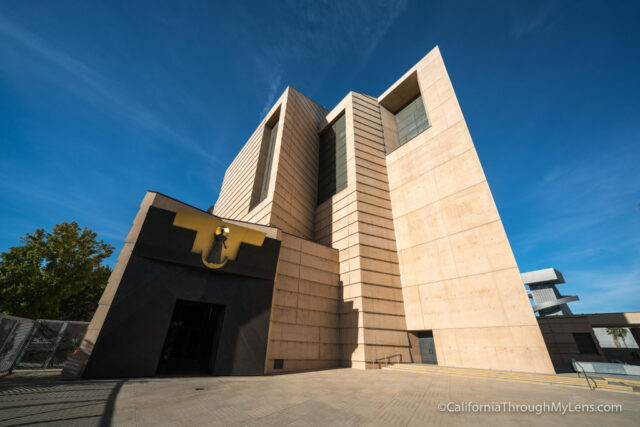 Next stop, we have a Cathedral of Our Lady of the Angels which is an old church that you can check out while you are in the city. This church is beautiful with the contemporary design and a large open floor plan. You can walk through the entire area or go down to mausoleum below the church. Obviously, be respectful if you visit here. 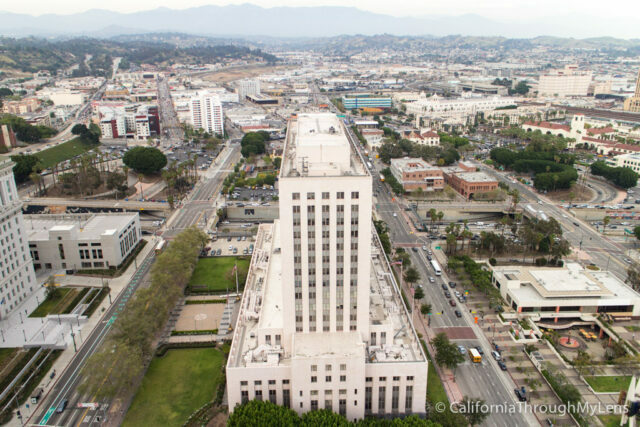 If you’re in Los Angeles during a weekday, from 9 AM to 5 PM, go to LA City Hall. You can get a visitor’s pass and take the elevator all the way to the top of the city hall. From there you can walk around in an open-air observation deck completely free. This is a great place to explore as it gives you impressive views of downtown LA and all the surrounding areas. You can even see the Hollywood if there’s not any smog. 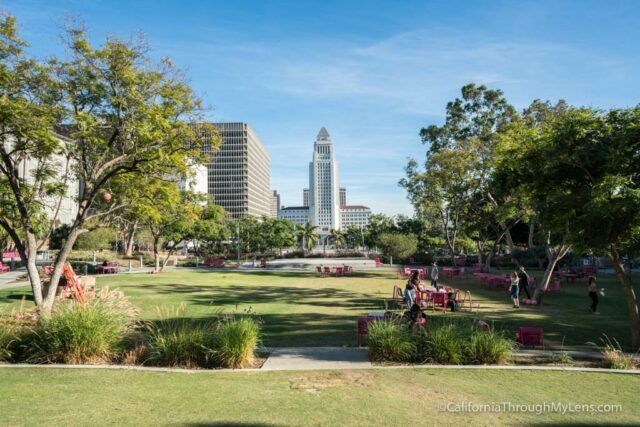 From City Hall, you can head up to Grand Park which is another fun place to relax in downtown. This long narrow park goes up about three city blocks, and it gains elevation as you’re walking up to the top. Each area has grass with tables and chairs that you can relax at and look out over City Hall. Also, at the top, there is a fountain that kids often play in. From here, you can head Pershing Square which is one of the other popular city parks in Los Angeles. There’s not a lot to do in Pershing Square on a daily basis but there is a park for kids to play at and during Christmas, they have an ice rink here so you can ice skate in the heart of Downtown LA. Pershing Square is about a block from the LA Library which is an excellent place to explore for a few hours during the day. They have a cool atrium with lots of unique art and, on the second floor, they have rotunda that you have to see to believe. My last two recommendations are a little bit outside the downtown area, but they’re both fun to visit. First, head over to Bob Baker Marionette Theater. This theater on the west side of downtown has been running for over 50 years, and it has an impressive marionette puppet show the whole family will enjoy. 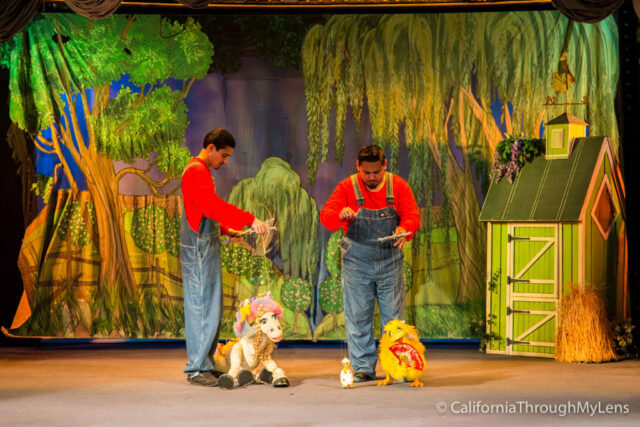 It’s a lot of fun during the holidays as well as they often have holiday-themed shows with their different puppets. My last recommendation is a visit to Dodger’s Stadium. 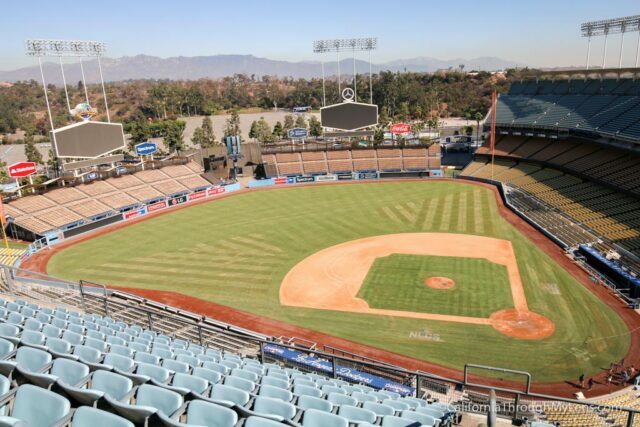 You may have been to Dodger’s Stadium during a game day, but I recommend you visit it when there’s no game in town. During normal business hours, most days of the week, you can drive into Dodger’s Stadium, and you can visit the company store. From there you can actually walk out into the upper deck, eat lunch and just look out over the beautiful stadium. I’m not a huge baseball fan myself, but there’s just something cool about being in Dodger’s Stadium with no one else around. If you want to see clips of all these spots, check out this video I made talking through them. So, that’s it, 24 spots in downtown Los Angeles for you to check out. Hopefully, there are some new ones on there that you hadn’t heard of before and be sure to let me know where I left off that you love in the comments.